Recently Metalix completed the replacement of the former software in METALFORMERS, South Africa. We are an engineering company based in Johannesburg, South Africa. We offer a very wide range of services. We make products that have long production runs like cable strut products. But we are also well known in the industry for being a go-to place to help with new product design and prototyping with typical short runs. 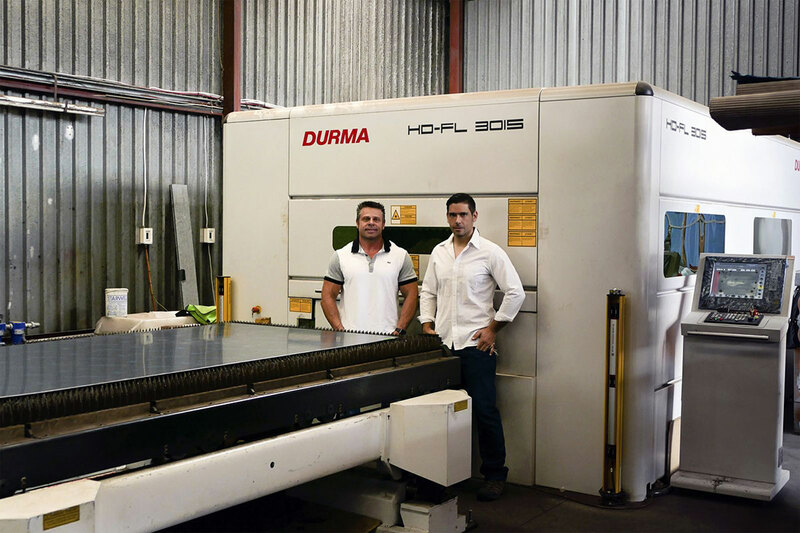 A big part of being able to make the products we do is the Durma Laser cutting and Euromac Punching machines we own. The agility, ease of use and speed we can work with when using Metalix is key to keeping our machines running 15+ hours per day. Sometimes we have nests with over 30-50 different parts totaling more than 100,000 parts, and Metalix has no problem nesting it and managing it very effectively. What makes Metalix stand out for me personally is the flexibility that Metalix offers me as the programmer. Metalix AutoNest can make automatic decisions that work in most situations; but when I would like to take a specific approach to a job, it is extremely easy and fast to implement things my way. The software does not push you into a corner and force you to do it a certain way. Metalix cncKad for me is a very powerful tool. Not only for preparing NC code, but the drawing side of cncKad is extremely feature-rich. Making changes to parts is unmatched in any other CNC software I have tried. Manipulating or changing drawings, or even creating parts from scratch or using the built-in parts library is very fast to do. Also the compatibility with other software packages is very good. For our 3D design we prefer to use PTC Creo. Using the CAD Link Creo plugin, with very few mouse clicks within Creo, we get our parts into Metalix with the correct material, thickness and bend parameters. There is no other workflow that can do it that fast.